Reward gift for LUCKY CHANCE CAMPAIGN! LUCKY CHANCE CAMPAIGN! 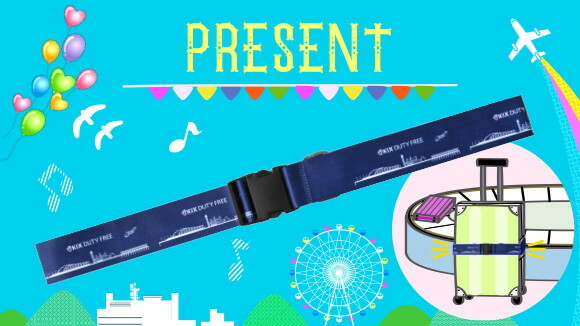 During the campaign period, an Original KIX Duty Free Original Luggage Strap will be given to shoppers who preordered items totaling 40,000 yen or more. * First 1,000 shoppers. Offering good while supplies last. Duty fee exclusive kit. Duo set of Moisturizing Foundation Primer S.
At duty-free shops only. Popular hand cream. 3-item set.